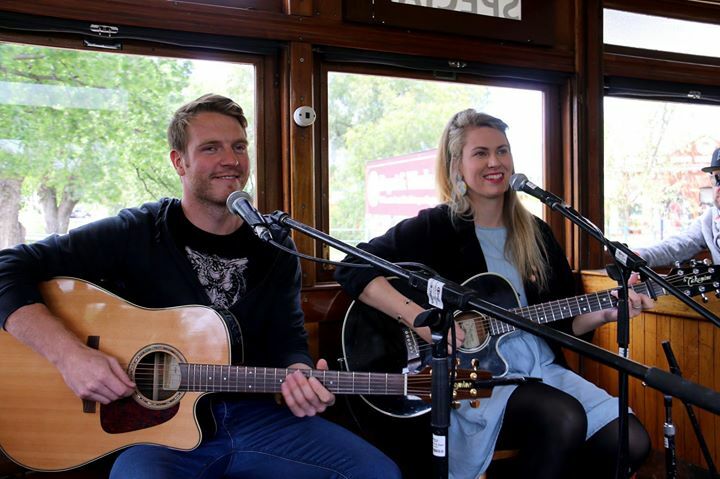 We’re hosting two of the classiest acts you’re likely to hear anywhere on our February 2018 Tram, a soulful powerhouse from Queensland in Hailey Calvert (w/Jason Cameron) and a bluesy folky singer/songwriter from Melbourne, Ben J Carter. Owning a bluesy, rich voice and fluid guitar style has earned Brisbane’s Hailey Calvert many fans as well as turning her into a festival favourite. Two EP’s, one album and countless charismatic live shows into her career, Hailey is an unforgettable performer showing no signs of slowing down. Ben is a Melbourne based Blues/Folk guitarist playing Resonator, Acoustic and Lap steel guitars along with his trusty stomp box to create punchy foot stompin` Blues. Ben`s music is a mix of original crafted songs and his take on 1920`s bottleneck slide Delta Blues. Always energetic, up tempo and spontaneous. Strictly no BYO – drinks and snacks available for purchase. This is a music appreciation event. For the enjoyment of all patrons, any rowdy or loud behaviour will not be tolerated. Event management reserves the right to refuse admission or evict patrons if requests to manage behaviour are not complied with; in this unlikely event, tickets of offenders will be forfeited and no refund will be available.